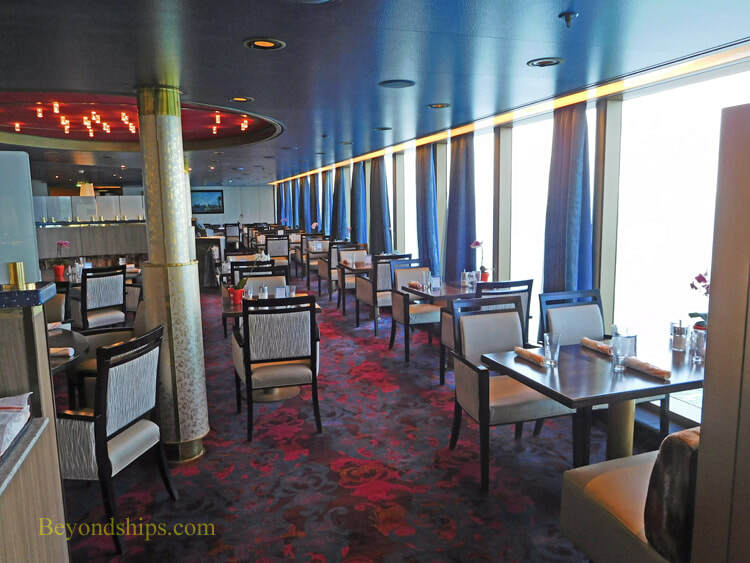 Oosterdam was designed to have one specialty restaurant. However, Holland America has found ways of giving passengers the option of several extra tariff alternatives. (See our dining review). 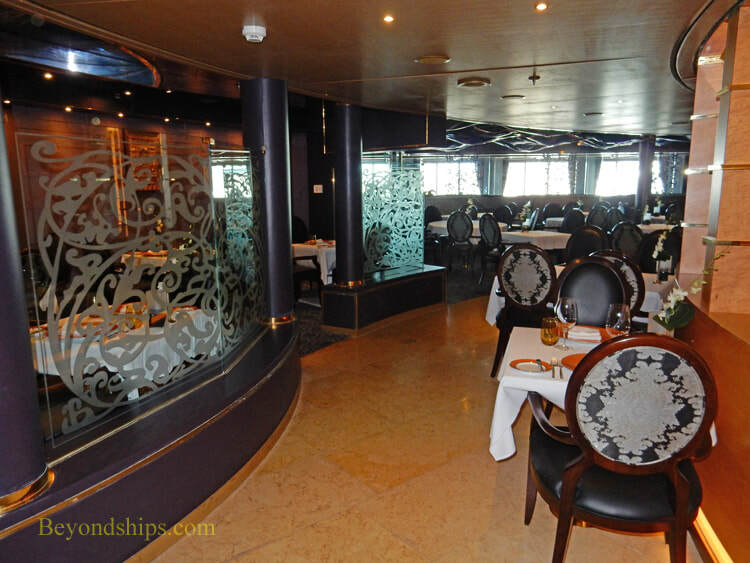 The Pinnacle Grill is Oosterdam's original specialty restaurant. 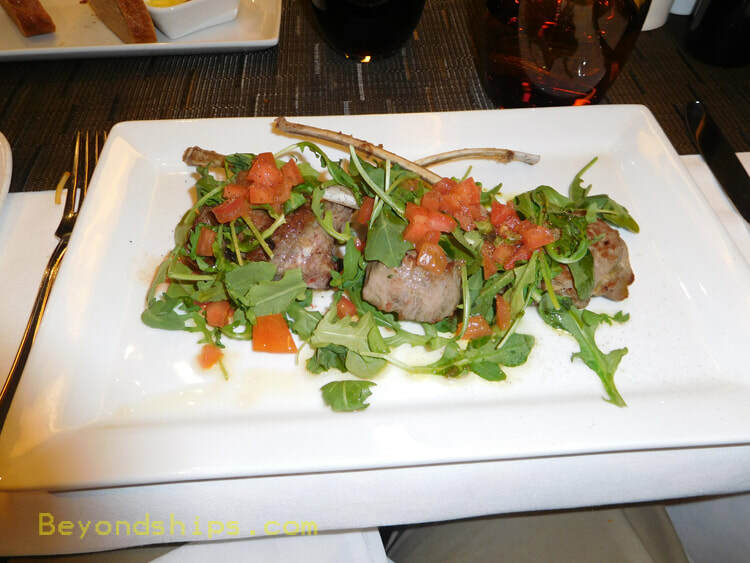 It has an elegant contemporary decor, high quality service and food. More than just a steakhouse, the Pinnacle Grill also features seafood. (See our menus page). 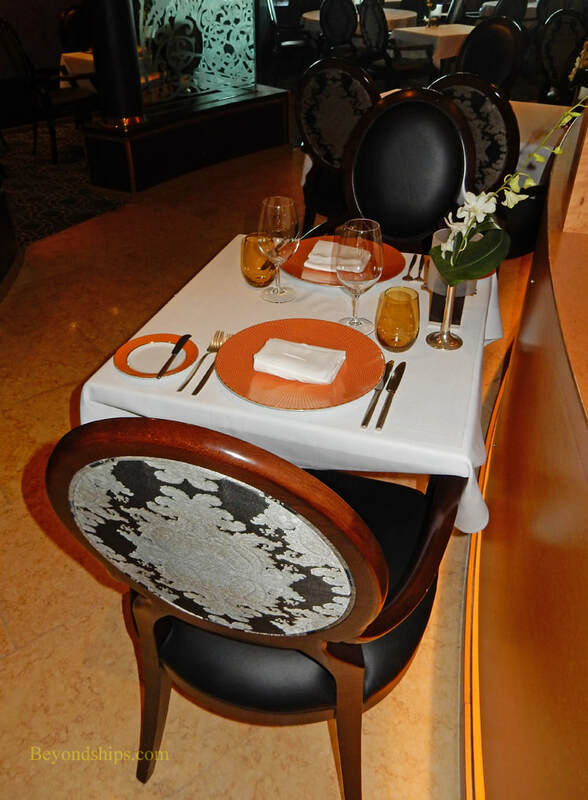 On certain nights during a cruise, the Pinnacle Grill becomes Rudi's Sel de Mer. 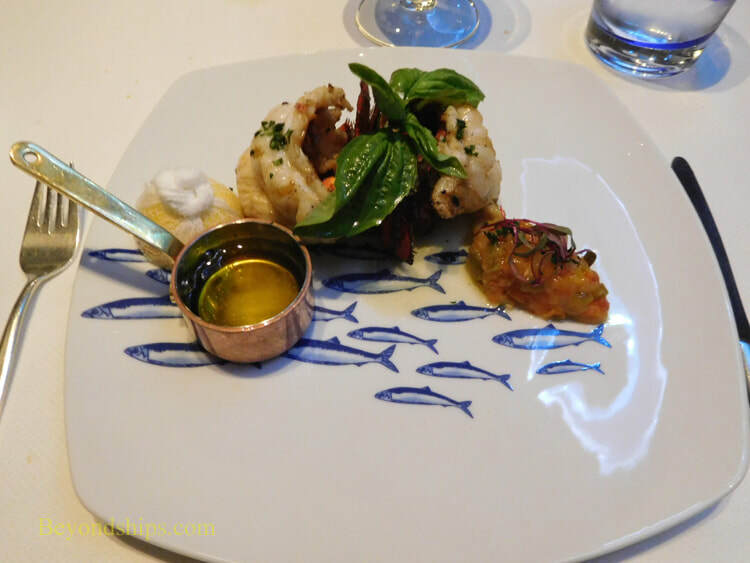 On these nights, the menu features Mediterranean-style seafood. 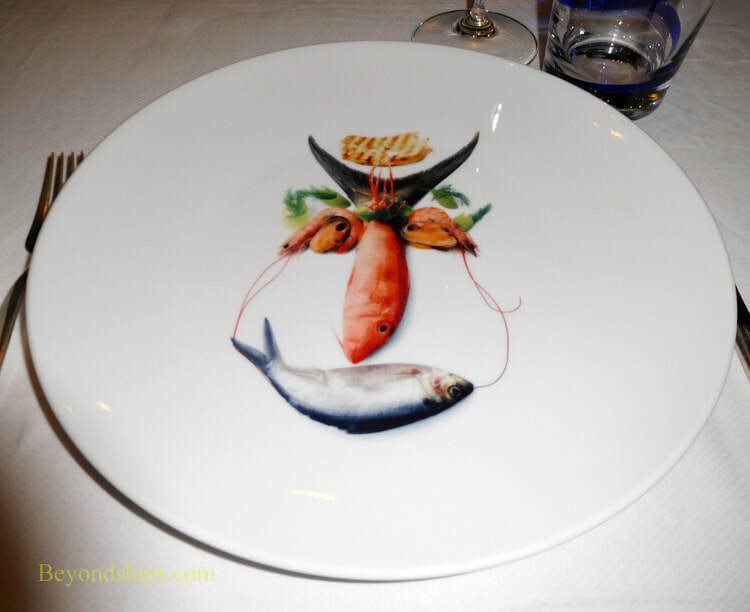 In addition, the usual table settings are changed to use plates designed specifically for these nights. In the evenings, a section of the Lido Restaurant becomes Canaletto. 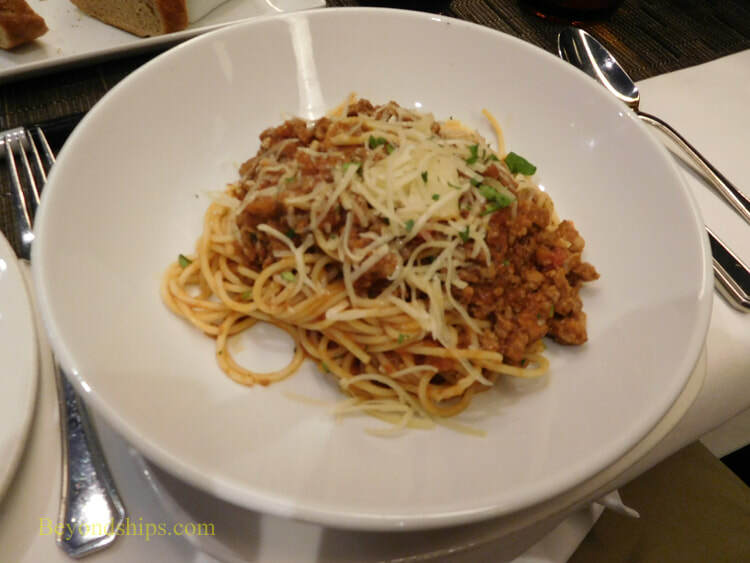 This is a casual restaurant featuring Italian-inspired cuisine.